Adam Doubblestein and Matt Slagle have been name to the board of directors of TowerPinkster, a west Michigan-based architecture and engineering firm, specializing in education, health care, commercial and government building design. Based in the firm’s Grand Rapids office, Doubblestein leads the firm’s government market sector, serving as principal and senior mechanical engineer. He has been with the company for three years and is a licensed engineer and certified commissioning process management professional with more than 15 years in the industry. Additionally, he has earned LEED AP Building Design + Construction certification by the U.S. Green Building Council. Doubblestein has worked in both a design and project management capacity for clients such as the State of Michigan Department of Corrections, Gerald R. Ford International Airport, Kent County, Northern Michigan University, and Meijer. He is a part of the Kent ISD Engineering Explorer’s and STEM programs, as well as a member of the Grand Rapids 2030 District, and Grand Rapids Chamber of Commerce – Chamber Open Golf Committee. Doubblestein has also been a member of ASHRAE – West Michigan Chapter Board for nearly years, and held positions on three society technical committees, as well as the regional chairman position. Doubblestein, of Grand Rapids, earned his Bachelor of Science in architectural engineering from the Milwaukee School of Engineering. Slagle, has been a senior designer with TowerPinkster’s K-12 education division for the past 10 years and holds American Institute of Architects, National Council of Architectural Registration Boards, Crime Prevention through Environmental Design and LEED AP certifications. 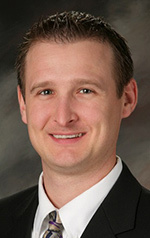 Also based in TowerPinkster’s Grand Rapids office, he was recently promoted to director of K-12 Education. Some of his recent work includes projects for Northview Public Schools, Kalamazoo Public Schools, Byron Center Public Schools and the Battle Creek Area Math & Science Center. Slagle also serves on the board of directors for Grand Rapids Public Schools Academy of Design, and the Cannonsburg Challenged Ski Association. 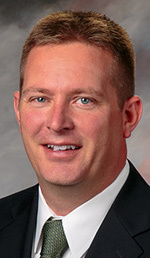 Slagle, also of Grand Rapids, earned his Bachelor of Business Administration from the University of Phoenix and his Master of Architecture from the University of Colorado.